The 54-inch Edge Xtra Mower uses the latest in three-spindle mowing technology to provide exceptional performance. The 3.4-mm (0.13-inch) deck stamping is designed to handle a large volume of material. 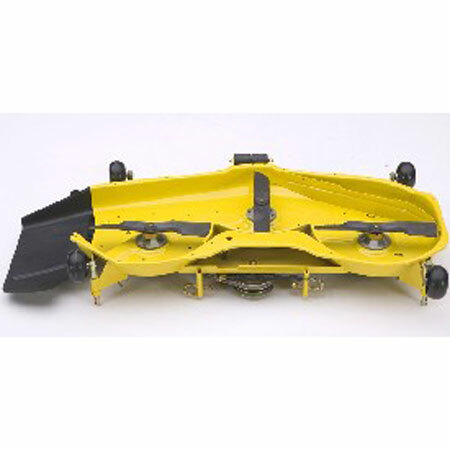 The design also gives excellent cut quality and uniform discharge in all mowing conditions. Used exclusively on Select Series™ Tractors, the Edge Xtra cutting system is mower decks with resilient 4-point mounting systems, wider gauge wheels, 1/4-inch (6.4-mm) cut-height increments, and an onboard deck-leveling system; it replaces the C-designation. 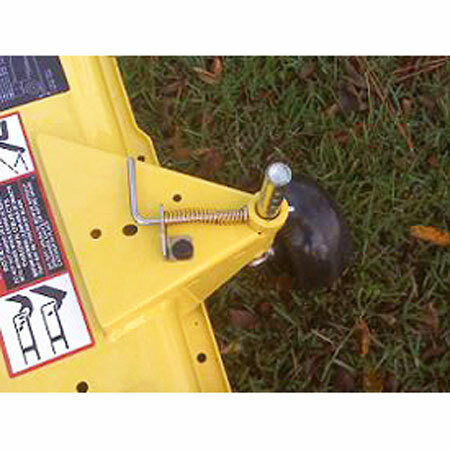 The mower blade overlap is 37 mm (1.5 inch). 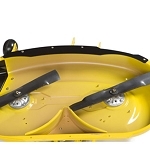 This large blade overlap reduces the chance of striping between blades.